Rajat Gupta is the CFO of Sprng Energy and responsible for all finance and controls of the business. 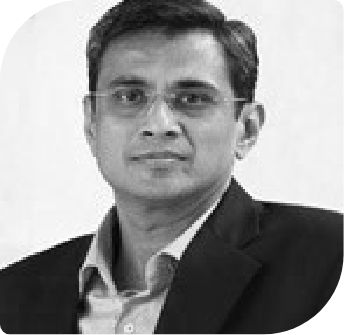 Rajat has 23+ years of experience in corporate & business strategy, project and corporate finance, treasury management, mergers and acquisitions. He started his career from EY and worked in Shyam Telecom, Avantha Power and United Group. Rajat worked as CFO of Ostro Energy and was instrumental in securing project funding for power projects and M&A activity for Ostro Energy. Rajat worked as CFO of Welspun Energy and setup entire finance process and raising of funds for Renewable projects. He has a bachelors’ degree in commerce from SRCC, University of Delhi and is a member of ICAI.